The loss of even one tooth can dramatically impact oral health, and the Ridgepointe Dental team in The Colony usually works hard to help patients keep their natural smiles. In some cases, removing a tooth is actually the best way to preserve optimal oral health and function. While it’s rarely our first choice, our skilled dentists are happy to offer this advanced service to help patients keep their healthy bite. If you want to learn more about tooth extraction, call our dental office in The Colony to schedule a dental treatment consultation today. We’ll examine your smile, help you determine whether or not tooth extraction is necessary, and partner with you to create a customized treatment plan. When are Tooth Extractions Indicated? 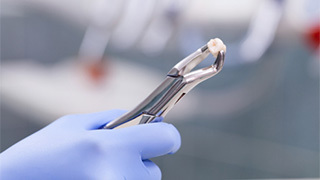 Teeth are usually removed by pulling or surgical extraction. Pulling a tooth is only possible when it has fully emerged from the gum line. We numb the area around the tooth. Then, a clasping tool is used to shift the tooth until it breaks free from the gum line. When pulling isn’t possible, we will surgically remove the tooth. This may be as simple as making an incision in the gum line to reveal more of the tooth, but it can also involve drilling into bone tissue or breaking the tooth into smaller sections. Each person’s situation is unique, and before we begin your extraction procedure, we will carefully plan out every detail to ensure your comfort. 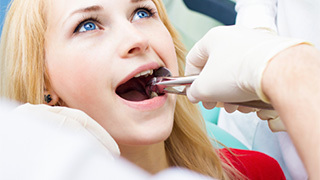 What Happens After Tooth Extraction?